Most don't think of software development as an industry in ski towns. In fact, unless you pursue a career as a skilled bartender, many leave ski towns to find full-time and fulfilling employment. Only 8.8 percent of ski resort-related jobs employ people year-round, according to a study out of Eastern Washington University on the economic impact of ski areas. But the seasonal job market is starting to change. More industries—and employers—are popping up in mountain towns every day, and Aryn Schlichting is hoping to connect those dots with her new website, MountainCareers.com. 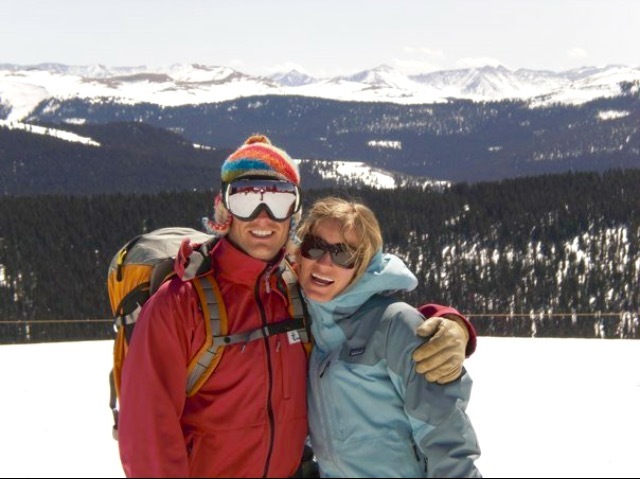 Schlichting, a 36-year-old Chicago native, moved to Vail in 2002 after college with five girlfriends and no plans except to ski. Her first job was teaching lessons at ski school, but soon after she started working in human resources for Vail Resorts, recruiting students on college campuses to come live and work in the Vail Valley. She is currently working in human resources for the town of Vail, but in 2015 she started Mountain Careers independently to transcend the notion that mountain towns are solely for ski bumming. She also hopes the website will help employers hire good people. While working at the Town of Vail, Schlicting was always looking for more places to advertise job openings—LinkedIn and the newspaper just didn't seem to be yielding enough candidates. Mountain Careers currently lists jobs for Vail, Summit County, and Aspen in Colorado. It’s working with 40 employers and posts up to 200 jobs with titles such as director for a local non-profit and program manager at an environmental conservation organization. There are also a handful of marketing, hospitality, and government jobs. And it's growing. Mountain Careers will extend to Park City, Utah, and Jackson, Wyoming, this coming winter. We recently spoke with Schlichting about her own career path. POWDER: Someone moves to a ski town, they'll work there a couple seasons but then get burned out and feel like they can't find meaningful work. Do you want Mountain Careers to change that status quo? Schlichting: After living in the valley for five or six years, a majority of my friends left, and they left because they couldn't find meaningful work or a boyfriend or whatever it was. I thought people just don't have an understanding of the amount of organizations and companies that are in these towns. We have 750 subscribers to Mountain Careers so far, and a lot of these people are not actively searching for jobs—they just want to know what types of jobs are out there. A lot of people have asked me, ‘Why don't you sort Mountain Careers so that if I only want to see tech jobs, I'm only seeing those postings?’ But that's defeating my purpose, which is for people to know that there are so many more opportunities out here. So even if you're interested in tech you might see there are a ton of non-profit director jobs. What are some of the more interesting positions you've seen recently? A lot of the time, I've never heard about a company that is posting. For example, somebody posted for a developer for this motorcycle app that helps motorcyclists find cool places to ride. I had no idea they were located here. We've had a handful of breweries pop up, and the amount of non-profits and environmental work that you could do in these communities is insane, and these are good director-level positions. My guess is that if these amazing jobs are here they're going to be in Jackson, and they're going to be in Park City as well. We just have to sort of seek them out and find one common way to share them with people. Do you have any advice for people who want to make a living in ski towns? Do the research about the company and the area. That way, employers really know that you want to live in their town and love the lifestyle. Second, be persistent, and I mean that on two fronts. The first is to definitely follow up, especially if you have an out-of-state address. Additionally, sometimes you just need to apply more than once. A lot of these employers see turnover, just by the nature of the location. What makes you believe that Mountain Careers has the ability to change employment trends in ski towns? When I first came up with the idea, I just set up a landing page and started collecting email addresses to see if there was any interest. The first month I had about 150 people sign up, which I was pretty psyched about for a small community. Every day new companies—breweries, non-profits, environmental organizations—pop up, and I've just been blown away by the amount of opportunity in these towns. It just feels like my idea has been validated, and that it really is possible to have a fulfilling career in a mountain town. You just have to be exposed to the opportunities, which is what Mountain Careers is all about. Advancing your career, having a nice life, and living in a place people dream of.